Not who you’re thinking. And not when or where you’re thinking either. So park what you know about Canadian fliers and Australian gunners on the Somme for a moment, and put April 21st, 1918 aside too. 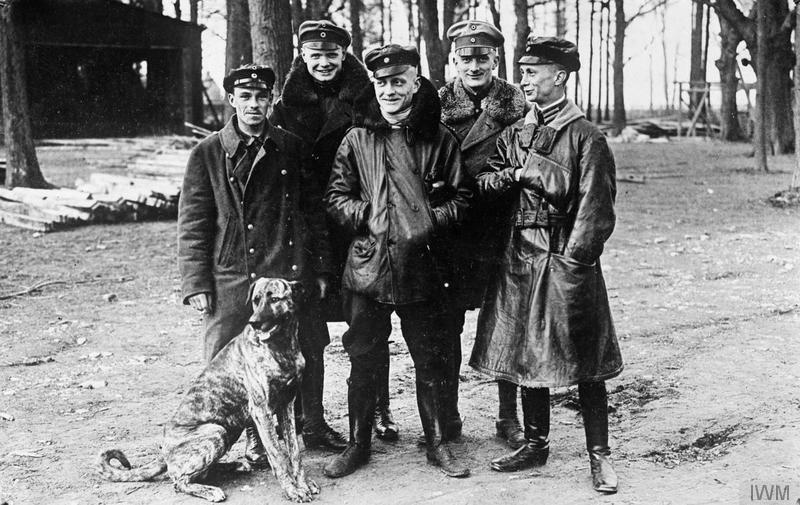 Manfred von Richthofen was actually shot down on March 6th, 1917, over Lens in Belgium. 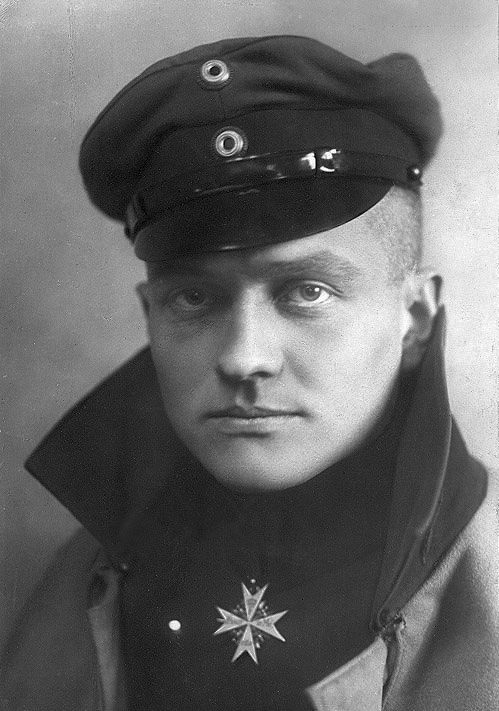 As he attacked a Sopwith 1-1/2 Strutter, von Richthofen found himself at the wrong end of some expert fire from an F.E.8 of 40 Squadron RFC, which was being flown by Lt. Edwin Louis “Lobo” Benbow – the RFC’s only all-F.E.8 ace of the war. I have had an experience which might perhaps be described as being shot down. I certainly got into trouble, but I escaped with a whole skin. I was flying with the squadron and noticed an opponent who was also flying in a squadron above the German artillery position near Lens. We had to fly quite a distance to get to them. It tickles the nerves to fly towards the enemy, especially when you can see him from a long distance and several minutes must elapse before you can start fighting. I imagine that my face turns a little pale at such a moment, but I have never had a mirror with me. I like the feeling for it is a wonderful nerve stimulant. One notices the aircraft from afar, then recognises that they really are an enemy formation. One counts the number of hostile machines and considers whether the conditions are favourable, or unfavourable, for a fight. A factor of enormous importance is whether the wind forces me away from or towards our front lines. For instance, when shooting down an Englishman I fired the fatal shot above the English positions. However, the wind was so strong that his machine came down close to the German captive balloons. We Germans had five machines; our opponents were three times as numerous. The English flew about like midges. It is not easy to disperse a swarm of machines which fly together in good order. It is impossible for a single machine to do it, and it is still extremely difficult for several aeroplanes, particularly if the difference in number is as great as it was in this case. However, we feel such a superiority over the enemy that we don’t doubt our success for a moment. This aggressive spirit is the most important thing everywhere in war, and the air is no exception. However, the enemy had the same idea. I noticed that at once. As soon as they observed us they turned to attack. Now we five had to look sharp. If just one of us should fall there might be a lot of trouble for the rest. We drew closer together and waited for the foreign gentlemen to approach. Shouting aloud, I am after him. He shot with the kind of ammunition that ignites, so I could see his shots passing me. I felt as if I were sitting in front of a gigantic watering can. The sensation was not pleasant. Still, the English usually shoot with this beastly stuff and so we must try and get accustomed to it. One can get accustomed to anything. At the moment I think I laughed aloud. But I was soon taught a lesson. When I had approached the Englishman quite closely, to a distance of about three hundred feet, I got ready for firing, aimed and gave a few trial shots. The machine guns were in order and the decision would be done before long. In my mind’s eye, I saw my enemy dropping. My former excitement was gone. In such a position one thinks quite calmly and collectedly and weighs the probabilities of hitting and of being hit. As a rule, the fight itself is the least exciting part of the business. He who gets excited in fighting is sure to make mistakes. He will never get his enemy down. Besides calmness is, after all, a matter of habit. At any rate in this case I did not make a mistake. I approached my man up to fifty yards. Then I fired some well aimed shots and thought that I was bound to be successful. That was my idea. But suddenly, when I had scarcely fired ten cartridges, I heard a tremendous bang. Then something hit my machine again. It became clear to me that I had been hit, or rather my machine had. At the same time I noticed a fearful stench of benzine and I noticed that my motor was running slack. The Englishman noticed too, for he started shooting with redoubled energy while I had to stop. I went right down. Instinctively I switched off the engine and, indeed, it was high time to do so. When a pilot’s benzine tank has been perforated, and when the infernal liquid is squirting around his legs, the danger of fire is very great. In front is an explosion engine of more than 150hp, which is red hot. If a single drop of benzine should fall on it the whole machine would be in flames. My aeroplane left a thin white cloud in the air. I knew its meaning from my enemies. Its appearance is the first sign of a coming explosion. I was at an altitude of nine thousand feet and had to travel a long distance to get down. Thankfully my engine stopped running but I have no idea how quickly I went down. At any rate the speed was so great that I could not put my head out of the machine without being pressed back by the rush of air. Soon I lost sight of my enemy. I had only time to see what my four comrades were doing while I was dropping to the ground. They were still fighting, and I could hear the sound of their machine-guns and those of their opponents. Suddenly I notice a rocket. Is it an enemy signal? No, the light is too great for a rocket. Evidently a machine is on fire. But what machine ? It looks as if it were one of our own. No! Praise the Lord, it is one of the enemy’s! Immediately afterwards a second machine drops out and falls perpendicularly to the ground, turning, turning, turning exactly as I did, but suddenly it recovers its balance. It flies straight towards me. It too is an Albatros, no doubt having the same experience. By this time I had fallen to an altitude of perhaps one thousand feet and had to find a safe landing site. Sudden landings usually leads to breakages and, as these are occasionally serious, it was time to look out. I found a meadow. It was not very large but would just sufficed if I used due caution. Besides it was favourably situated on the high road near Henin-Lietard. Everything went as desired and my first thought was, “What has become of the other fellow?” In fact, he landed a few kilometers from the spot where I had come to ground. I had ample time to inspect the damage. My machine had been hit a number of times. The shot which caused me to give up the fight had gone through both benzine tanks. There was not a drop of benzine left, and the engine itself had also been damaged by shots. It was a pity for it had worked so well. I assured him that I felt quite well, jumped down from the side of my machine and introduced myself to him. Of course he did not understand a particle of my name. However, he invited me to go in his motor car to Henin-Lietard where he was quartered. Of course the word “drive” is absolutely taboo among flying men. An aviator does not drive, he flies. 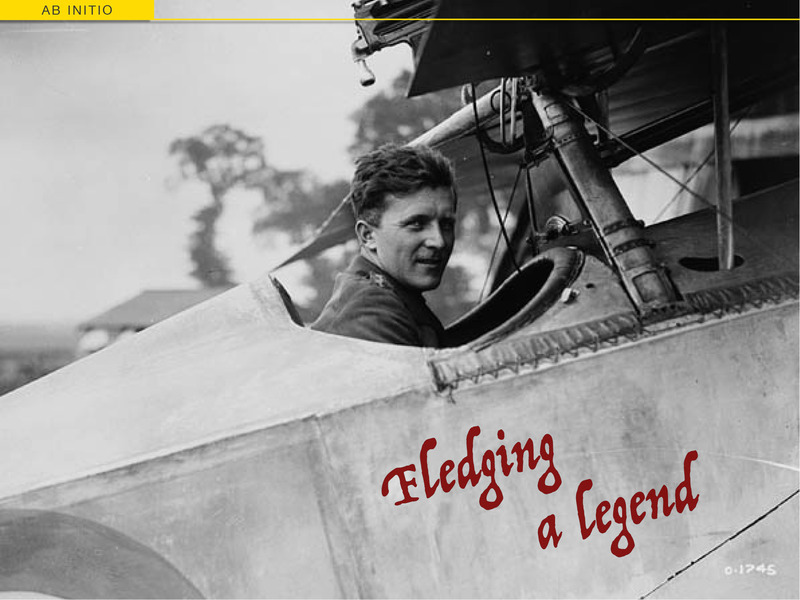 But I had obviously lost caste In the eyes of the kind gentleman when he discovered that I “drove” my own aeroplane. The conversation began to slacken. When we arrived at his quarters I was still dressed in my dirty and oily leather jacket, with a thick wrap around my neck. On entering his diggings he forced me to lie down on the sofa. At least he tried to force me because, he argued, I was bound to be terribly done up through my fight. I assured him that this was not my first aerial battle but he did not, apparently, give me much credence. Probably I did not look very martial. “No,” I answered, “not two but twenty-four.” He smiled patiently, repeated his question, and gave me to understand that when he was speaking about shooting down an aeroplane, he meant not shooting at an aeroplane but shooting into an aeroplane in such a manner that it would fall to the ground and remain there. Now I had completely lost caste with him. He was convinced that I was a fearful liar. He left me sitting where I was and told me that a meal would be served in an hour. If I liked I could join in. I accepted his invitation and slept soundly for an hour. Then we went to the Officers’ Club, where I realised that I was wearing my Ordre pour le Mérite.Unfortunately I had no uniform jacket underneath my greasy leather coat, only a waistcoat, and I apologised for being so poorly dressed. Suddenly my good chief noticed the pour le Mérite. He was speechless with surprise and assured me he did not know my name. I gave my name again. Now it seemed to dawn upon him that he had heard of me before. He feasted me with oysters and champagne until at last my orderly arrived with my car to fetch me. I learned from him that Lubbert, in the other downed Albatros, had once more justified his nickname. He was generally called “the bullet-catcher” for his machine suffered badly in every fight. One was once hit sixty-four times yet he had not been wounded. Later on in the evening, however, I was able to inform my kind host of Henin-Lietard that I had increased my ‘bag’ to twenty-five. (M. von Richthofen, trans. by T Ellis Barker, 1918). 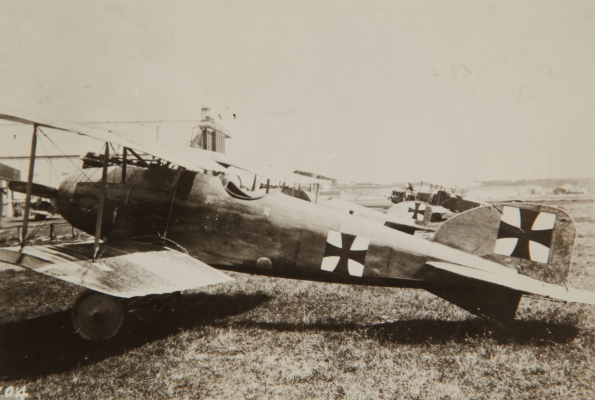 Days later, on March 9th, Richthofen and Jasta 11 ran into the F.E.8s of 40 Squadron again. This time, the Flying Circus would have their revenge. In the twisting dogfight that followed, four of the nine F.E.8s were shot down, four were damaged, and the remaining aircraft caught fire on landing. 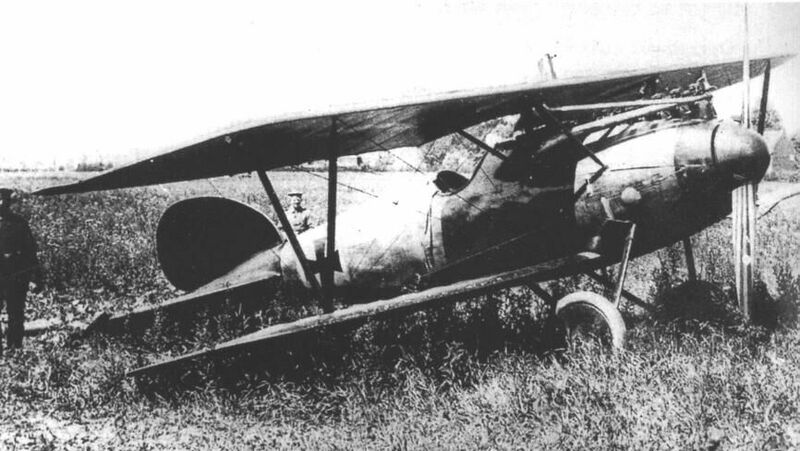 The badly mauled squadron was re-equipped with Nieuport 17s forthwith. Edwin Benbow managed to survive this encounter with The Red Baron as well. But just one week after the squadron became operational on Nieuports, he was wounded by anti-aircraft fire and invalided home to England. 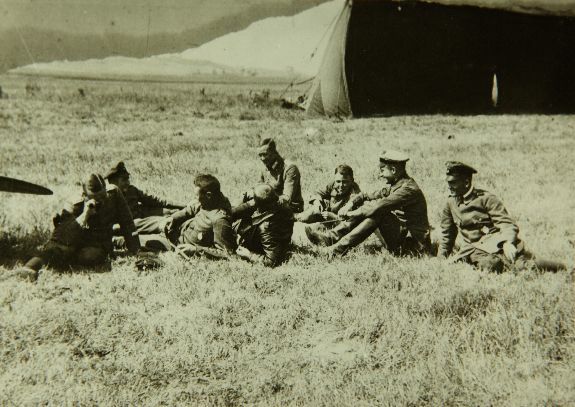 After recovering and being promoted to Captain, he served as an instructor for a year. In May 1918 he returned to France flying the SE5a in Billy Bishop’s 85 Squadron RAF, where he was shot down and killed within weeks, on May 30th. 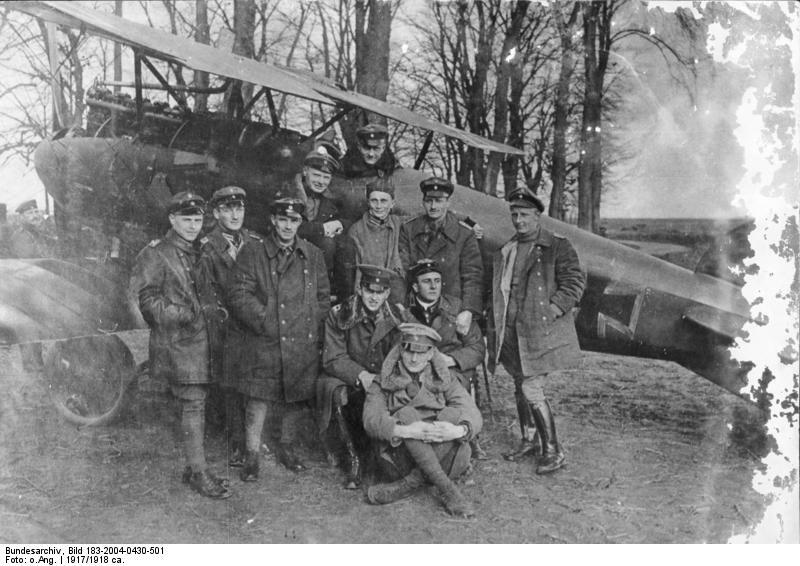 Richthofen would be shot down for the second time on July 6th, 1917, during a fight with two-seater F.E.2d fighters from 20 Squadron RFC near Wervicq, Belgium. This time, he sustained a serious bullet wound to the head. He came to his senses in time to ease his red Albatros D.V out of a spin and landed roughly in a field in German-held territory. He was hospitalised and sent on convalescent leave, during which he wrote his autobiographical Der rote Kampffleiger for German propagandists. It would be translated into English in late 1918 and republished as The Red Battle Flier with a preface by Aeroplane editor C.G.Grey. “Cunnell handled the old F.E. for all he was worth, banking him from one side to the other, ducking dives from above and missing head-on collisions by bare margins of feet. The air was full of whizzing machines, and the noise from the full-out motors and the crackling machine guns was more than deafening … Cunnell and I fired into four of the Albatroses from as close as thirty yards, and I saw my tracers go right into their bodies. Those four went down … Some of them were on fire – just balls of smoke and flame – a nasty sight to see. In fact, Richthofen’s doctors noted that his wound was most likely caused by a shot from behind, which is at odds with Cunnell’s claim and Woodbridge’s story. 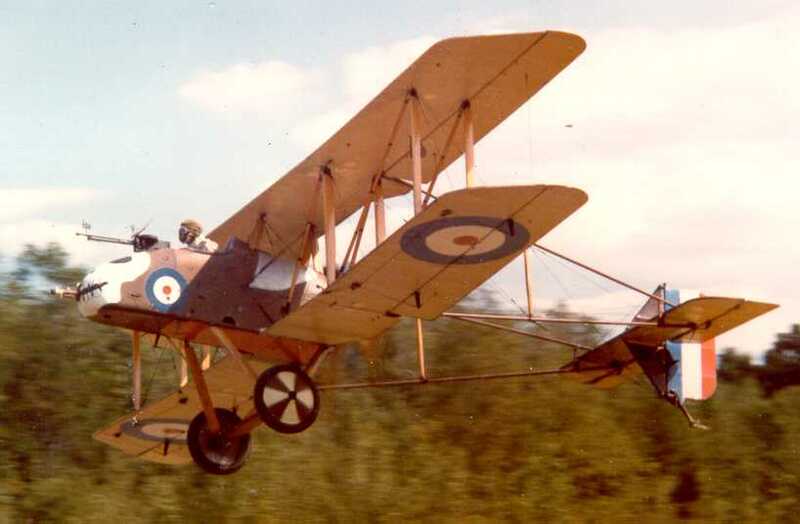 In the heat of the battle, it may well have been another 20 Squadron F.E.2, or even a pilot from the accompanying 10 Naval Squadron, who downed The Red Baron that day. 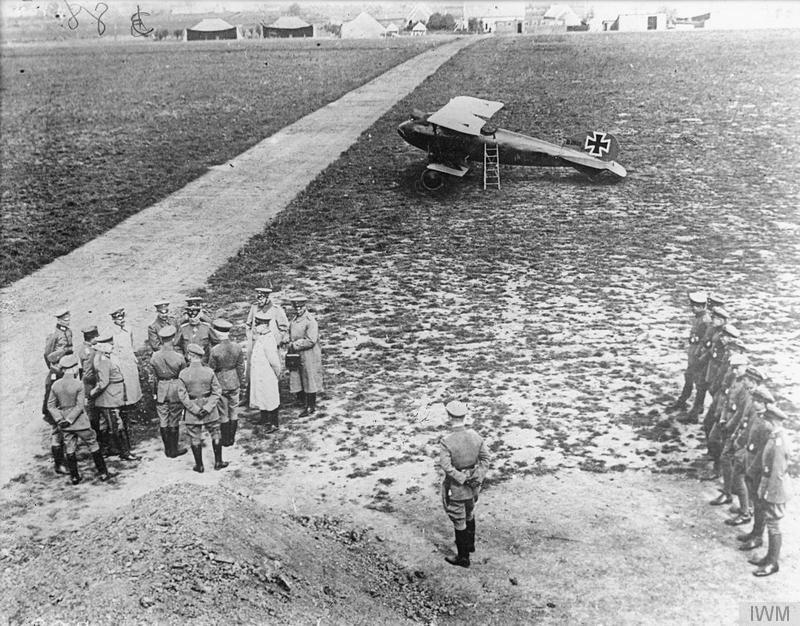 Richthofen returned to flying with Jasta 11 on July 25th, 1917, against doctor’s orders, but took a second convalescent leave from September 5th to October 23rd, 1917. He would then fight on until his death, after 80 victories, on April 21st, 1918.